Who Is Deborah Torres Patel ? Deborah helps leaders communicate with unshakeable confidence and master influential voice, presentation and public speaking skills. She’s the first woman in the world to be chosen as a ForbesSpeaker Thought Leader for their business expert platform launched in August 2018. Deborah is also the first woman to be honoured with the Asia Professional Speaker’s Hall of Fame Lifetime Achievement Award (HOF) for speaking excellence and professionalism. Her company Expressing You Pte Ltd has been awarded elite Medal of Honour Status by the Singapore Enterprise Association in the global SME category. In her early career Deborah began singing professionally at age four and was blessed to perform for millions on radio, film, TV, Broadway and on international live concert stages with celebrities like Whitney Houston, Sammy Davis Jr, Michael Jackson, Herbie Hancock, Milton Berle and many more legendary entertainers. 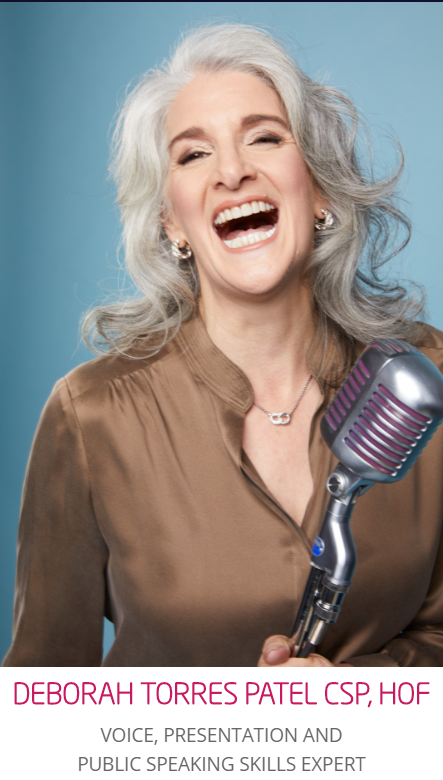 After a life-changing personal decision to leave the entertainment industry in 1991, Deborah transitioned to coaching entrepreneurs and executives on their voice, executive presence, presentation skills, stage presence, and public speaking skills. For decades, she’s shared and transferred these highly refined world-class communication skills to enable leaders to scale new heights, reach their peak potential and the pinnacle of their careers. She’s the secret weapon, coach and mentor behind many of the world’s best-selling authors, experts and leaders of Fortune 500 Companies. 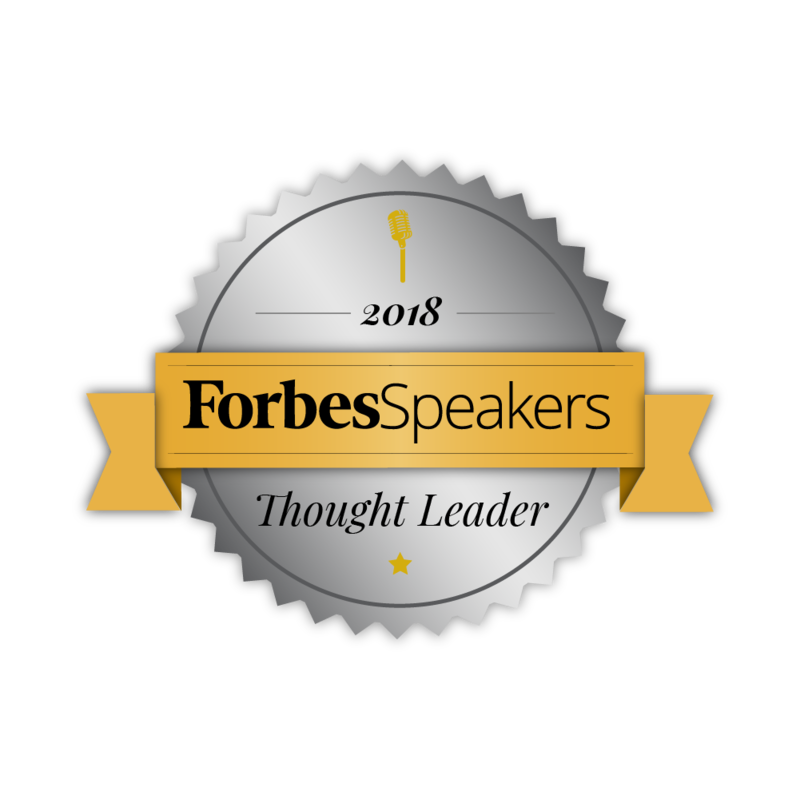 Deborah designs and teaches predictable systems that ensure her clients communicate with world-class credibility and unshakeable confidence every time they speak. With a rich understanding of global cultures, she’s had the privilege of working with hundreds of thousands of people in over 80 countries on 6 continents. In the past four years alone, Deborah has trained executives in over 200 major companies. International clients include CNN, Disney, Hewlett Packard Enterprise, Microsoft, Price Waterhouse Coopers, Merck Global, Chanel, Citibank, Visa, Johnson & Johnson, Marriott, Hilton and hundreds more. She’s shared global speaking platforms with leaders like Former British Prime Minister, Tony Blair, Tony Robbins, Jack Canfield, Baroness Michelle Mone OBE, T Harv Eker, Blair Singer, Robert and Kim Kiyosaki. Her clients have been on all major international media and she’s personally been featured on CNBC and CNN television and in global publications like TIME and Forbes. Deborah is also a co-contributing author to the bestselling book ‘88 Essential Secrets for Achieving Greater Success at Work’. Her next two books ‘Million Dollar Voice’ and ‘Million Dollar Message’ will be distributed globally in 2019 through Ingram Books and Forbes.